Nathan is employed by Methodist Sports Medicine in Indianapolis, Indiana. He serves as the Director of Athletic Training and Sports Performance for the Indiana Fire Juniors Soccer Club, an affiliate of the Chicago Fire MLS Club. There are approximately 2500 athletes from ages U8-U23 playing either recreational or travel soccer in Indiana Fire Juniors. Skill levels vary from beginner to elite. The club has accomplished multiple national and regional championships, 150 state championships, as well as the development of hundreds of state, regional, national ODP and ID2 players. Nathan’s responsibilities include all aspects of care for athletes in the club. He uses the Move2Perform software to detect and categorize athletes who are at risk for injuries. Additionally, the software provides key information for him to design pre-game and pre-practice warm-ups. Nathan also leans on Move2Perform to help him gauge athlete readiness for return to play decisions. Nathan has a BS in Athletic Training from Manchester College as well as a MA in Physical Education from Ball State University. 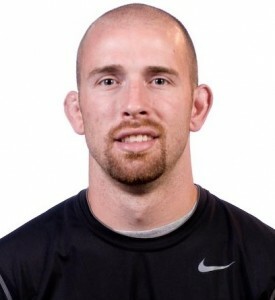 He is a certified/licensed Athletic Trainer (ATC/L) as well as a Certified Strength and Conditioning Specialist (CSCS). Nathan is also a certified FMS and SFMA practitioner.